Your smile is the best jewelry you can wear every day. You can wear the best dress or the best coat to look good. You can also put on makeup that will enhance your looks. However, it’s your smile that will encapsulate your overall beauty and charm. Other people consider smiles as their strength, but for those who don’t have the gift of having perfect teeth, to smile looks like the hardest thing to do. If you’re one of the latter, read on below for you to have ideas on how to start your journey to having a perfect smile. Here’s a list of dental health procedures that will help you achieve your goal. Brushing is what you do every day to clean your teeth. However, it can’t remove the tartar and plaque buildup. Only the professional and experienced dentists can successfully do the process for you. The dentist will examine your teeth and gums to see any manifestation of tartar, plaque, and inflammation. Then, the procedure will start by removing the plaque and tartar buildup in the gum line and in between teeth by the scraping process. Flossing, brushing, as well as fluoride treatment, are the significant parts of the cleaning procedure. After the whole process of a dental cleaning, you’ll surely feel the freshness and the cleanliness in your mouth. You’ll definitely be happy with the results. If you have unaligned teeth, and experience bite issues, Invisalign treatment is suitable for you. Invisalign treatment is a procedure of making your teeth straight by wearing clear and removable aligners. The good thing about this dental procedure is that there’s no bracket nor wire. You must only wear clear braces all the time. How does Invisalign work? You must see a licensed and experienced dentist for a consultation. During this phase, the dentist will carefully examine the condition of your teeth and plan the treatment according to your dental needs. You must ask all of your questions this time for you to know everything about the procedure. When the dentist has successfully made the clear aligners for your teeth, you must have a regular dental visit every two weeks for progress monitoring and aligners modifications. You must always wear the aligners when you are at work, school, or home, when you’re doing your house chores, and even when you’re sleeping. One good thing that Invisalign has is that it doesn’t take your joy of having your favorite eat and drink. You can still eat and drink whenever and whatever you want. If your teeth have no way to be saved, you can choose extraction to remove your original teeth permanently. Otherwise, you can try other options like the dental filling procedure. The primary objective of this procedure is to repair fractures and other dental problems. The procedure involves the administration of anesthesia for the comfort of the patient. Then, the dentist will remove the damaged parts of your teeth as well as the bacteria and debris. After the cleaning process, the dentist will now apply the filling material to the teeth to fill in the cavity. After the whole procedure, you must follow and practice good oral habits. By doing so, you’ll avoid the risk of having any more tooth decay in the future. Having a regular checkup will also be a good idea for your healthy teeth. If there’s no way to save your teeth, and extraction will be the last resort, you can have dentures to replace the missing teeth. Smiling with some of your teeth missing, especially the front teeth, will be so hard for you. You tend to feel embarrassed because of that. However, the use of dentures will be so much helpful in restoring your beautiful smile. Many people have used dentures for many years. Different types of resin and porcelain are the typical materials for the teeth dentures. Porcelain dentures are more durable but the more expensive as well than to others made by other materials. If it’s your first time to use dentures, it’s normal for you to feel the awkwardness in your mouth especially when you eat or drink. You are still adjusting with your new dentures. You’ll get used to it after a couple of days, weeks, and even month. It depends on how fast you can get accustomed to it. One dental issue that most people encounter is tooth discoloration. There are a lot of reasons for tooth discoloration. Tobacco use, dental disease, genetics, and poor personal hygiene are the typical reasons for this dental problem. It might be hard for you to smile to people you encounter every day if your teeth have a different color from what other people have. You tend to be embarrassed to show your teeth when you smile. You don’t have to worry anymore because there are a lot of options available in the market today to solve your dilemma. However, you still need to consult your dentist and ask for suggestions before you go to the market to buy whitening products for your teeth. There might be products not suitable for your dental condition. That’s why you need to remember and follow your doctor’s advice. You always want to start your day with positivity, and it must start with your beautiful smile. 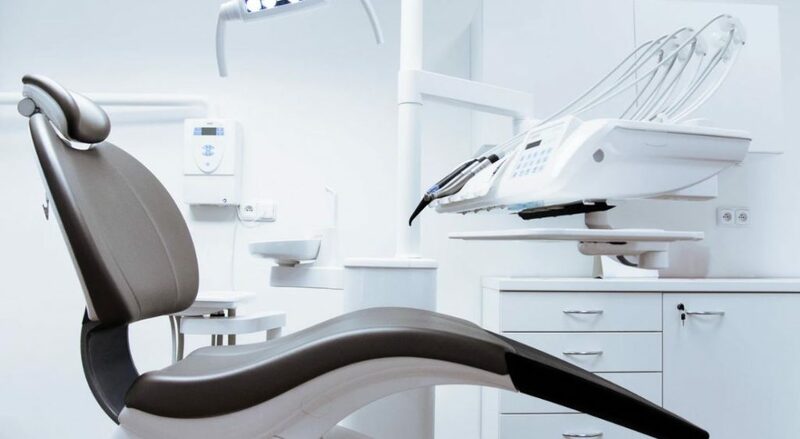 However, if you encounter dental problems that will impede you from giving your best smile to people you meet every day, you tend to feel a little bit disparaged. With different dental health procedures discussed above, you can choose one according to your dental needs. Then, you can start facing the world with your restored smile and your uplifted self-confidence.